Grab forty winks. Sawing logs. 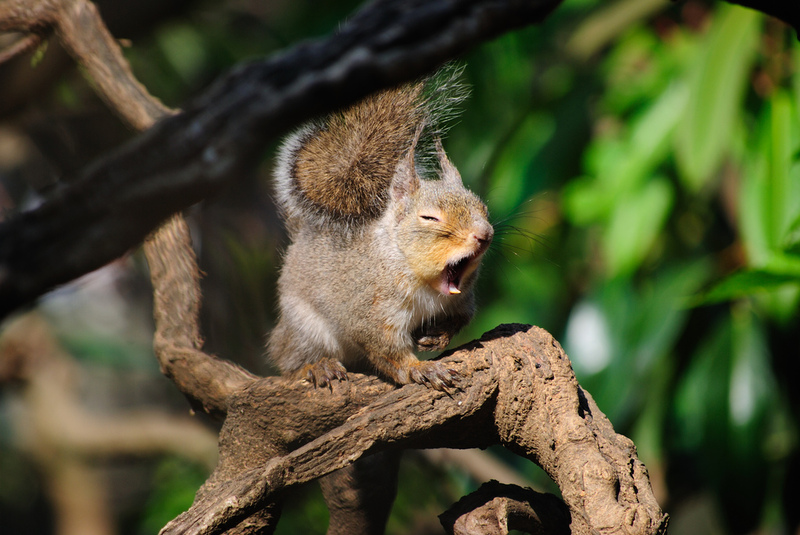 For a species that’s habitually short on shut-eye, humans sure have come up with myriad ways to talk about it. We also spend a lot of time and money studying sleep, or the lack thereof. Yet, in spite of decades of inquiry, researchers are only recently beginning to understand why people, along with just about every other living creature, need to nod off. We’ve had better luck researching the unconscious states nonhuman species employ to deal with hard times. Winter, for example, poses a critical challenge for animals who stay put rather than migrate to warmer climes. Thermoregulation requires calories, but many foods—especially high calorie fruits and nectars, grasses and forbs, and insects—are scarce when the days are short, so the ability to reduce one’s energy needs can be a life-saving adaptation. Hibernation does just that—it lowers an animal’s metabolic rate. If all goes well, this period of inactivity, which may last several days, weeks, or even months, depending on the species, will stretch stored energy reserves (aka body fat) long enough for the animal to survive until a greener season. 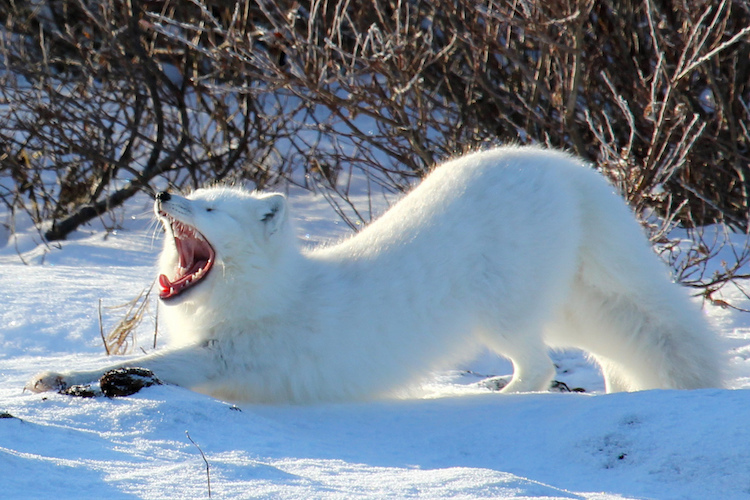 Whether this strategy is successful or not depends on many factors, such as the abundance of autumn food resources, the length and severity of cold days, and even the stability of the den site during repeated freeze-thaw-freeze cycles. When a critter transitions into a state of hibernation, the body temperature drops to near-freezing, breathing becomes so shallow as to be imperceptible, and the heart rate decreases dramatically. For a chipmunk, that means the heart goes from 350 to 4 beats per minute. Although we tend to think of hibernation as a season-long slumber, hibernating rodents do wake up every few weeks to have a snack and take a bio-break. These periods of activity, called interbout arousals, can consume up to 90% of stored body fat over the winter season. That said, there are some champion nappers in this chisel-toothed group—including the groundhog (aka woodchuck), who sleeps half its life away. Imagine heading to bed in September and setting the alarm for March! Other examples of sound sleepers include: insectivores, including the European hedgehog and the tenrecs (an African mammal similar in size and appearance to a shrew or hedgehog); the mountain pygmy possum—the world’s only hibernating marsupial; and the echidna, a monotreme (an early mammalian order, now mostly extinct; the remaining extant members include the platypus and four species of echidna). For the first time, biologists recently added some primates to the hibernator roster: the mouse lemur and the fat-tailed dwarf lemur. Since winter temperatures in their native Madagascar may reach 86° F (30° C), it’s become clear that hibernation isn’t strictly associated with cold weather. Nor is it limited to mammals; a bird called the common poorwill snoozes through at least some of the snowy season. 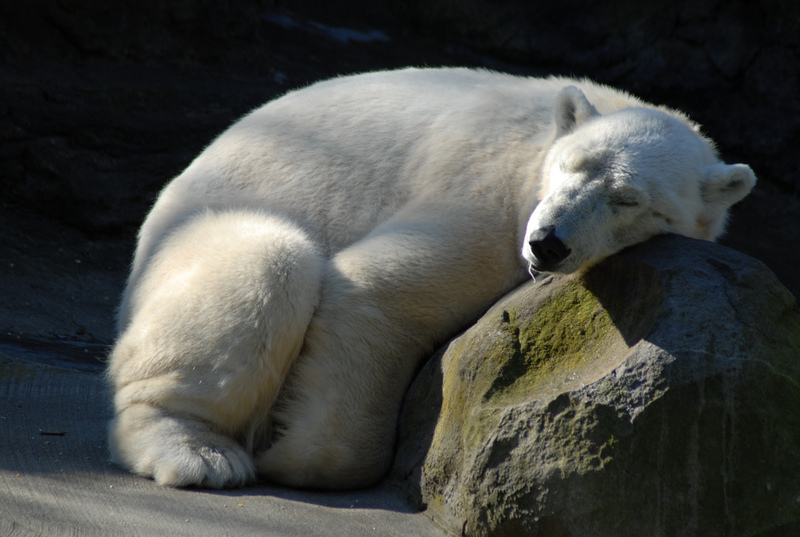 Ironically, there’s some question over whether bears, the most famous of North American sleep icons, are true hibernators. Bears often spend far more time sleeping than the so-called “trues,” so what’s all the fuss about? Well, this is going to sound like nitpicking, but here goes. First of all, a bear’s heart rate does drop during hibernation, but not quickly or significantly enough to suit some scientists—the number of heartbeats may go as low as 8 per minute, but the average is closer to 50 per minute. Moreover, while a bear is sleeping, body temperature remains pretty close to normal. This is a handy little hibernation idiosyncrasy that, should the need arise, allows the animal to wake up fast… and often cranky (a fact that Santa should keep in mind when planning a mid-winter visit to the den). Taking to one’s bed for months on end could be seen as a rather over-the-top response to a simple cold front. It smacks of swooning characters in English romance novels from the late 1800s. Frankly, it’s not everyone’s cup of tea, and many wild critters take a more measured approach. Torpor is the term commonly used to describe these shorter, less dramatic forms of dormancy, although, technically, hibernation and other types of suspended animation are really subsets of torpidity. Call it what you will, there are examples of hibernation in all the Classes of vertebrate animals—mammals, birds, reptiles, amphibians, and fish—and it’s commonplace among the myriad spineless critters, too. For some of the busiest bodies, torpor is a daily habit. Hummingbirds, for example, have such a high metabolic rate that they need to ingest a steady supply of non-carbonated sugar water during their waking hours or they’ll become hypoglycemic and too exhausted to fly. Can’t fly, can’t feed; it’s a vicious circle that will ultimately lead to the bird’s death without some kind of intervention. As you might imagine, this need to constantly refuel creates an enormous problem when night falls and these feathered, perpetual motion machines must rest. Without some way to temporarily lower their metabolic rate, hummingbirds would never be able to get out of bed in the morning. Never fear… torpidity to the rescue! Swifts, chickadees, nightjars, and doves are just a few of the other avian species who go torpid under various conditions. Generally speaking, these birds feed on fruit, nectar, or insects, and they tend to be on the small side (less than 80g). 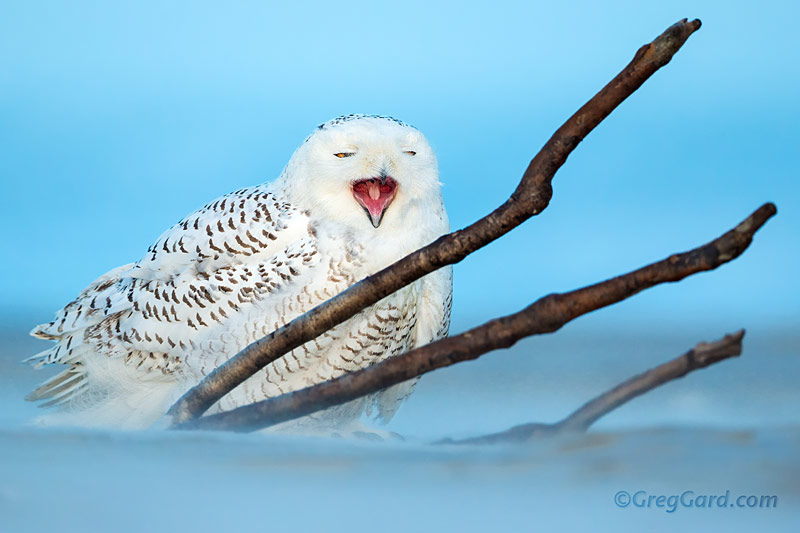 The snowy owl, at 1600-2950g is one exception to this rule, and biologists recently added a second, when it was confirmed that the tawny frogmouth enters a state of torpor during Australian winters. Of course, cold is not the only hardship wild things would rather sleep through. Periods of drought are just as serious a threat to survival, especially for aquatic and semi-aquatic species. When a lake, pond, or stream goes dry, the inhabitants need to dig in. Literally. 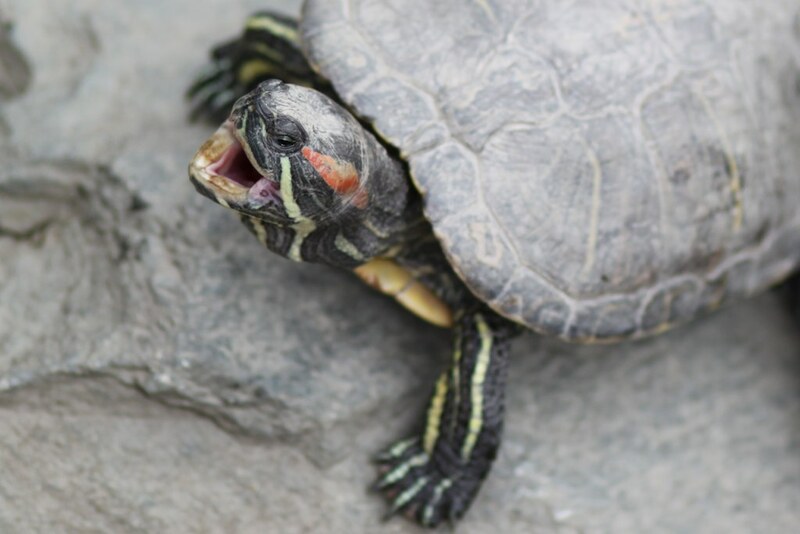 Turtles and tortoises, crocodiles, frogs and toads, salamanders, and some crustaceans will aestivate (also spelled estivate)—a drought-driven form of hibernation. They sink down into the mud before it dries completely, sealing themselves in a mucous capsule until the rains come again. If ever there was a time to be glad you can absorb the oxygen in soil through your skin, this is it, because the air in your boggy bubble won’t last very long. my eyelids feel so heavy….